It’s been a while since I’ve done a Five on Friday, and I figured I should jump back in on the fun! Linking up with April and crew for a random assortment of fun! 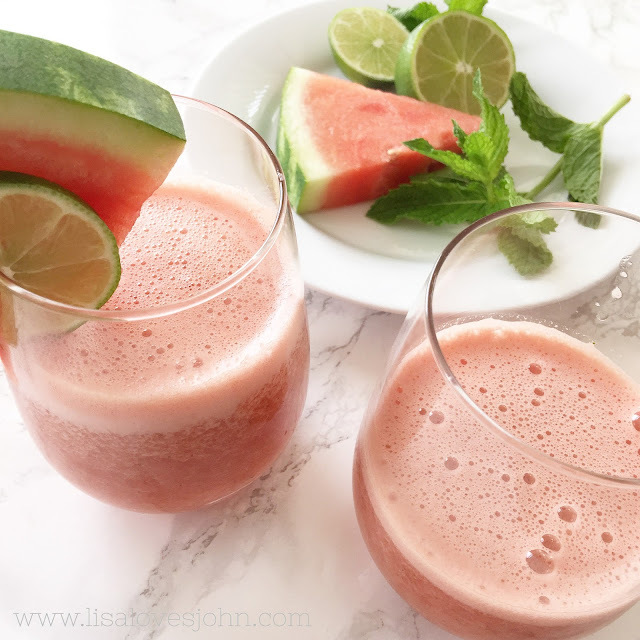 My favorite summer fruit is most certainly watermelon, and when I saw this watermelon cooler on Pinterest, I knew that I had to make it. Blend all of the ingredients together and drink over ice. Refreshing and hydrating - perfect for the Arizona heat! I don’t have any clue why it took me so long to get on the Sofia train, but I am absolutely hooked! It’s a perfect after dinner treat while sitting down and watching a show on TV with the hubby. When it comes to makeup I just about always stick with Bobbi Brown. Except my mascara... which I usually use cheapo Maybelline (with no complaints!). 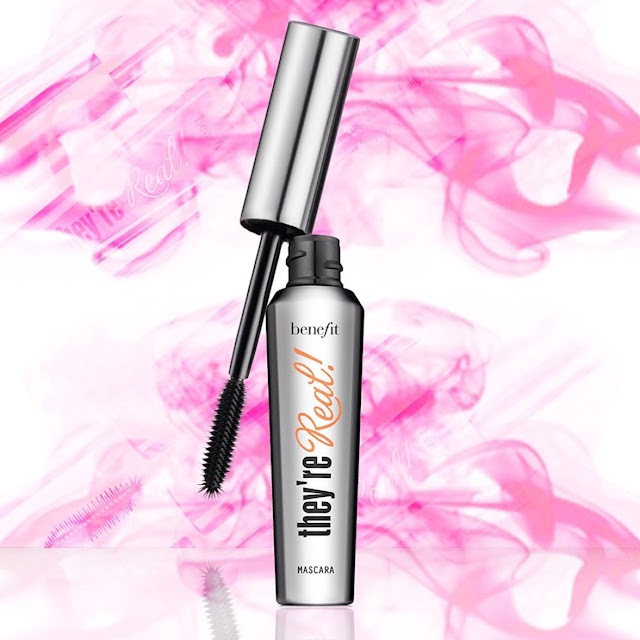 BUT, I recently bought Benefit’s They're Real mascara, and I absolutely love it! I don’t have super long lashes, but this mascara really does a great job extending what I do have. I also bought the They're Real gel eyeliner, but I was notttt a fan... I will be sticking with Bobbi Brown on that one! These Zella "Live in" Leggings were my only purchase this year from Nordstrom’s anniversary sale, and I’m not going to lie, they are fabulous. I normally stick with my J.Crew Pixie Pants as my fall and winter legging, but the Zella "Live in" Leggings have fully converted me. First, they are a great value (a fraction of the price of J.Crew's Pixie Pants! ), the quality is great (nice and thick material), and lastly, they are long enough for me. Winning! Ugh, I seriously feel like the Bachelor franchise is on the struggle bus. I swear, the last good season of anything was Sean Lowe! And this Bachelor in Paradise is equally underwhelming. And if the new Bachelor really is Ben H. (has it been confirmed? ), I'm concerned it's just going to be another snooze fest... Thoughts?! Girl I am totally a Bobbi Brown addict! And I use maybelline mascara too! I splurged and bought the Benefit mascara and I'm pretty sure I'm the only girl in the US that wasn't sold. I'm sticking to my cheapo mascara. I have yet to get Zella leggings because I'm hooked on my Lululemon ones but I definitely am considering trying them out! What is this Sofia?? That watermelon cooler looks so refreshing! I'm a huge fan of the pixie pant, so I'll have to try your legging recommendation! Yes to that watermelon cooler. YUM! And I swear by that mascara. It's my fav for sure! That watermelon cooler sounds amazing!!! I haven't tried that mascara but definitely want to! That watermelon cooler sounds amazing! And LOVE Sofia! 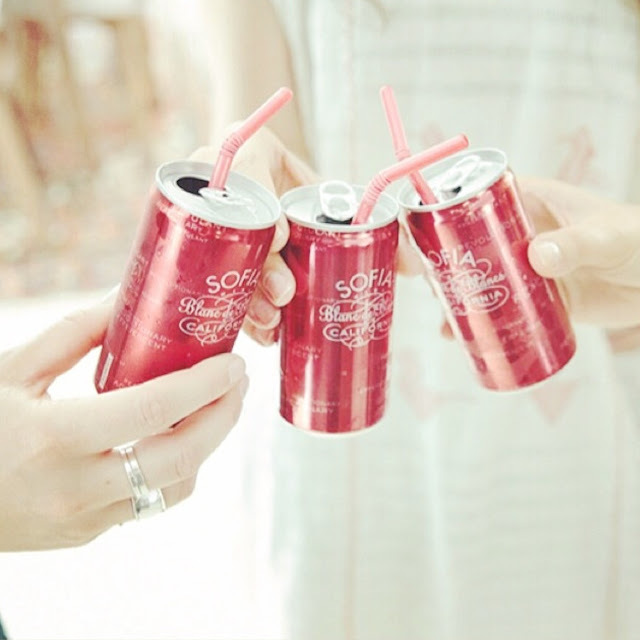 The little cans are so darn cute! Happy Friday girl! I currently have some Sofia in my fridge! Love, love zella live in leggings. I don't know why it took so long to get on the train, but I'm happy I finally did. Have a great weekend. Oh my goodness, that watermelon drink looks to die for!!!!!!! :) hope you have a fantastic weekend. mm drinking watermelon sign me up! I'm really not in to Bachelor in Paradise. I'm a die hard Bachelor/Bachelorette fan. I'm ready for them to bring in someone completely new to be the leading man/woman like they used to at the beginning of the franchise.